Your home is one of life’s biggest investments. When you find a leak in your basement or cracks creeping throughout your house, trust your home to the experts in all things foundation. 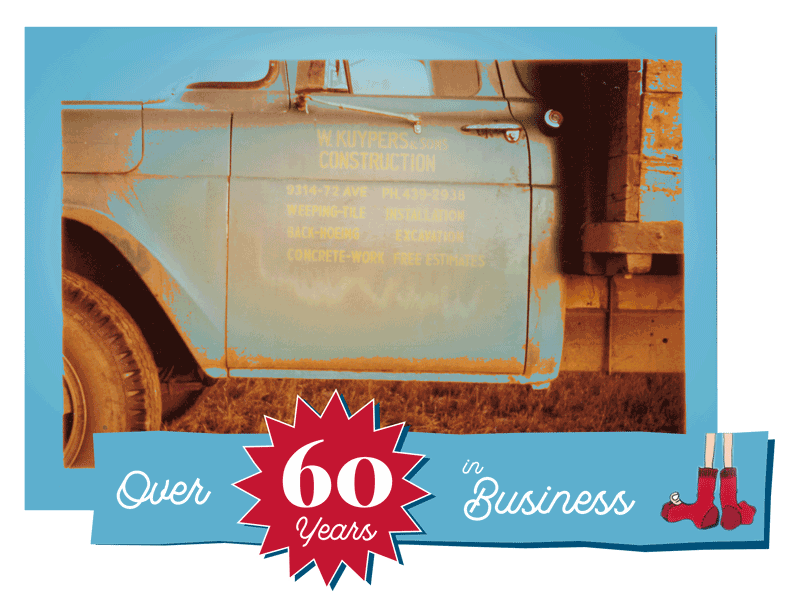 Since 1954, K Kuypers Construction has provided homeowners and businesses in Edmonton with foundation repair. Our approach is focused on quality control. We only complete one job at a time and dig everything by hand to ensure minimal damage to the rest of your property. With a 25-year guarantee for every foundation repair, we secure Edmonton homes by providing long-lasting and high-quality foundation craftsmanship. Don’t underestimate the early signs of foundation failure and notify a professional even when you see small foundation cracks. Before it turns into a larger, more costly problem, our Edmonton foundation repair company offers free estimates, giving you nothing to lose. It’s about time you enjoyed a dry and leak-free basement! Call us today to get your free evaluation or estimate. Foundation failure can be caused by improper drainage, poor concrete construction, inferior ground preparation, and much more. As part of our evaluation process prior to foundation repair, we help identify the cause to avoid future issues from continuing. After hand digging around your building’s foundation, we install weeping tile and seal all outside walls. We install insulation systems to the exterior of your wall, a sump pump to get water away from your building, and window wells and drains. This foundation repair process makes sure your home remains dry and secure, so let the rain pour down! Many early homes do not have weeping tile. Weeping tile is a porous pipe that is often used for water drainage around basement foundations. We offer weeping tile installation to help move water away from the foundation, followed by waterproofing your foundation’s exterior. To further protect your home, foundation insulation board is a fundamental component to any building. It adds a high R-value of 9.6 to your foundation to help resist heat flow. This reduces thermal stress that can cause concrete cracking and helps direct water to weeping tile. Avoid further damage with weeping tile and insulation installation from our team. With over 60 years of industry experience, our family owned and operated company can problem solve any issues, no matter how difficult or severe. Our team works hard to maintain our central values of providing Edmonton with expert foundation repair and complete quality control. Call K Kuypers Construction today! We focus on quality and when we’re done you’ll sleep well knowing that you have a dry basement. Our 25 year guarantee will protect you for years to come.